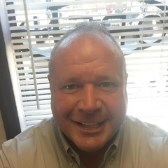 Meet the Staff of Mundy Motor Co, Inc.
My name is Chris Mundy and I am the owner of Mundy Motor Company and have been in the auto industry for 30 years. I’m also a proud family man that is very active in the community with a wife and a daughter. I am on the board of Alabama Independent Automobile Dealers Association. My staff and I welcome you to our dealership and look forward to assisting you in all your automotive needs !